The cloud presents all kinds of opportunities for today’s enterprise, from anywhere access to anything-as-a-service. Cloud computing imposes significant security risks on the corporation, network, IT and the day to day activities of the business. How do they maintain compliance, control and ownership of sensitive data as they move from the physical environment to a cloud world? The distribution of data onto devices may not be completely controlled by the data owner, and there is liability confusion as cloud service providers take on a larger role. As a result CIOs are looking at technologies and strategies to assure security while delivering the required services. Fortunately, this model of enterprise computing doesn't have to be the high-risk proposition. By thinking of security as an enabler, instead of an obstacle for cloud adoption, you can easily protect and maintain control of data across multi-cloud environments while maximizing the business potential of the cloud. 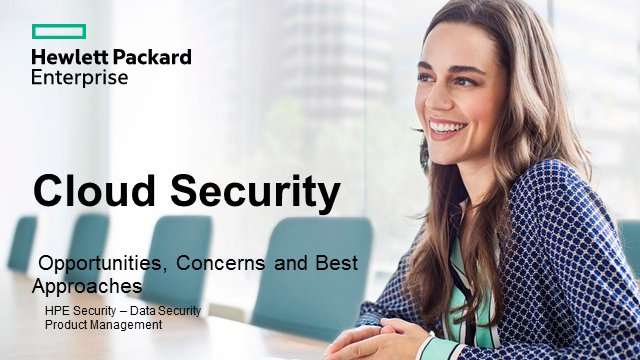 During this webcast we will discuss ways to address the key security challenges you’re facing as you move to the cloud.